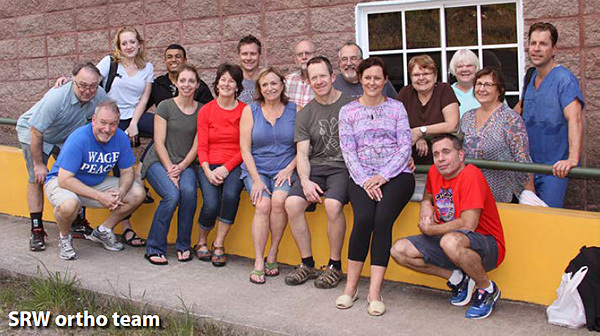 I recently returned from my first medical mission trip with Sharing Resources Worldwide. Over the past few years, I had classified a medical mission trip as a "bucket list" item. It was something that I knew I wanted to experience and learn from. But, and I cannot stress this enough, it became SO MUCH MORE! Now that I have done it once, I feel like I have the "itch" ... as in, I want to make this a normal part of my life. Even though I was tired from a stretch of long days, I left with an overwhelming sense of accomplishment and feelings of gratitude, pride, and empathy along with a whole other slew of emotions. I developed a sense of camaraderie with this group who, other than two people, I had never even met before shaking hands at the airport. As a "newbie," I was welcomed with open arms, mentored, and guided into what would be my role as a circulating nurse in the OR. What, then, was the common thread that brought all of us, as volunteers, together? The goal of every single person in this group, along with the staff of La Providencia, was to make a difference, no matter how big or small, in the lives of the children and families that we saw each day. The first day at the hospital was a clinic screening day. As we drove up to the hospital, we were greeted by the smiling faces of Honduran children and their families. They had made the drive, some from up to eight hours away, with hope in their hearts. Some would end up waiting for hours for the opportunity to be evaluated by a nurse practitioner or an orthopedic surgeon. Somewhere between 35 and 40 patients would be told that they needed surgery. Feelings of stress and anxiety lifted for others as they were told that what was thought to be something serious was in fact completely normal. Yet others were given news they did not expect or hope for. To see a parent of a child with spina bifida weep as they found out, for the first time, that their child would not walk was gut-wrenching. In the end, no matter the outcome or the time they had to wait, these families were so grateful because they received care, and honesty, that they otherwise did not have access to. Day number one left me feeling astounded by the unmet medical needs and the conditions of poverty that many in Honduras endure. Yet it fueled a sense of determination and commitment to the days ahead. While my experience as a recovery nurse provided me with a level of comfort in caring for surgical patients, I was a little out of my league in the OR. My insecurities quickly resolved due to the support, patience, and encouragement of my team members. Even though I learned a lot from my group, I can honestly say I learned the most from the patients and their families. Parents who barely knew us, communicating with the assistance of an interpreter, trusted us to care for their children. 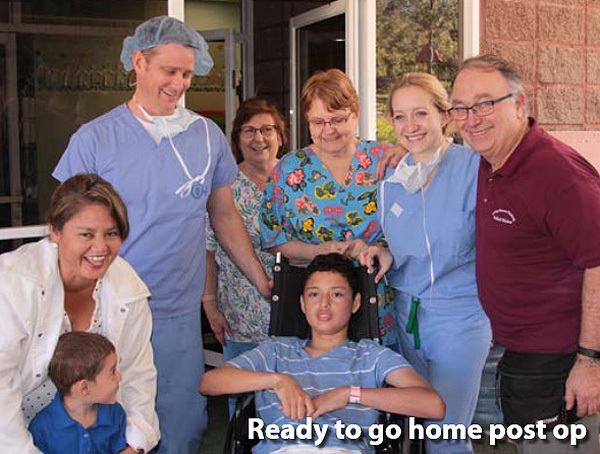 Patients bravely left the comfort of their families, walking hand in hand with us to the operating room. Children waiting to have surgery worked on craft projects for the staff. Family members waited patiently for rounds, or the next dose of pain medication, or to be notified that their child was done with surgery. Our efforts were met with smiles, handshakes, hugs, and words of appreciation. I don't think they will ever realize or fully understand the life lessons that they taught me. On our last afternoon, I received a tour of the La Providencia property. The hospital is only one part of this incredible organization. They also have an orphanage and a school on site. I had the wonderful opportunity to meet some of the students. One by one, they came up to me and shook my hand, saying "Nice to meet you, I am..." in English. I was impressed by the foundational bilingual skills they already had at such a young age. But then again, I guess I shouldn't have been surprised. Why? Because when you witness the dedication of the La Providencia staff, who are some of the most giving individuals I have ever met, you would understand. 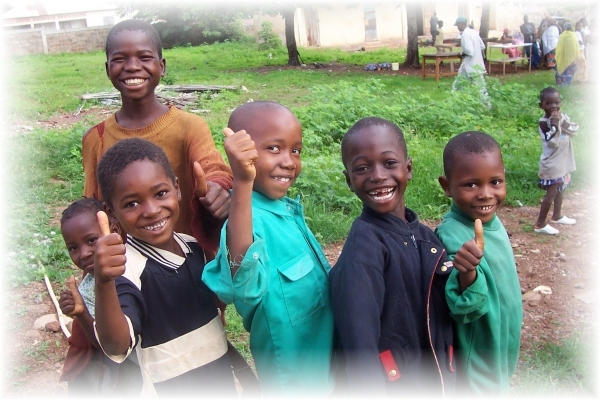 They selflessly dedicate their time and energy to provide a better future for orphans and children in the community. Even though I've resumed my life as before, I can't help but reflect on this trip regularly. It had what I know will be a lasting impact on me. And although it was my first trip, I hope that it won't be my last. To those who heard about my trip and said "I have always wanted to do that" ... don't let the BUT's win the battle. Jump on board, take a leap of faith. Trust in the power of volunteering. You won't regret it. Thank you to the families, patients, La Providencia staff, our drivers, the hotel and its dedicated workers, and last, but not least, MY CREW!